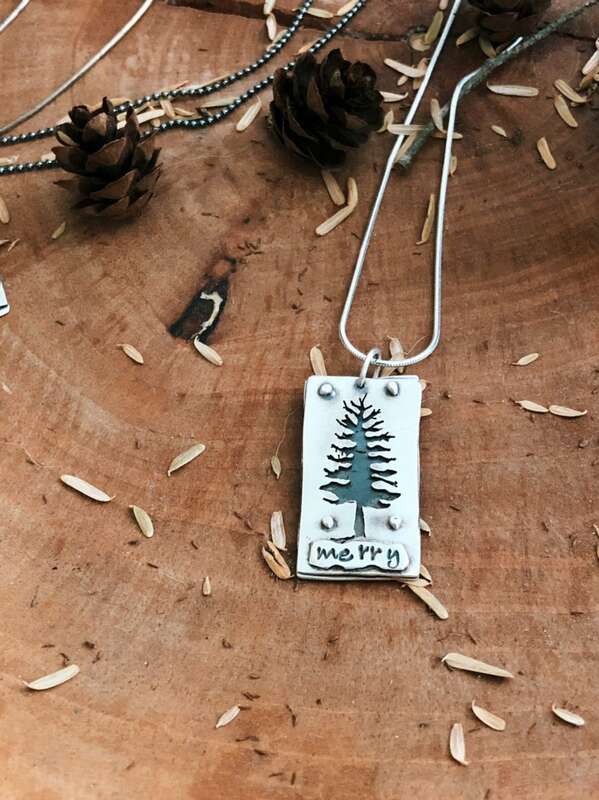 Hand pierced, sterling silver holiday trees. Each one is oxidized and finished by hand to obtain the satin finish. 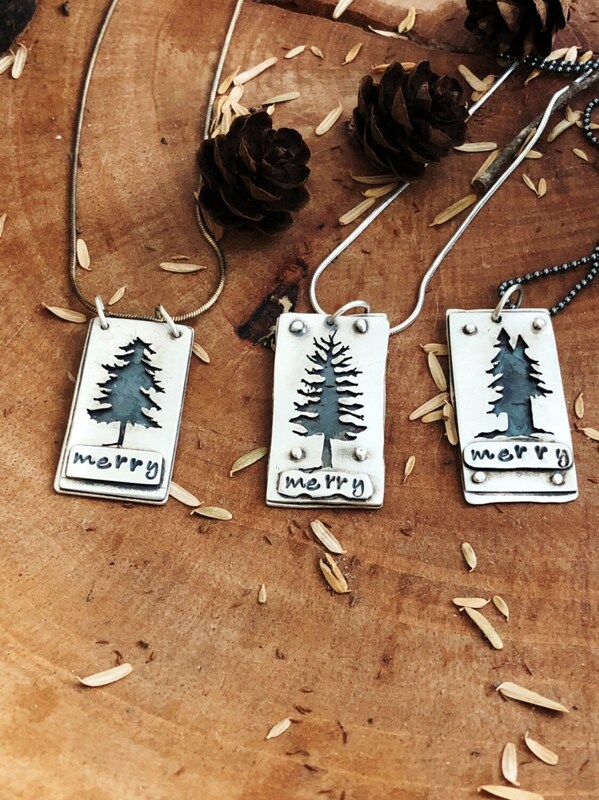 Two of the pendants have handmade rivets securing the two pieces of silver (the other one is soldered) A third piece of silver is hand stamped with the word “Merry”. 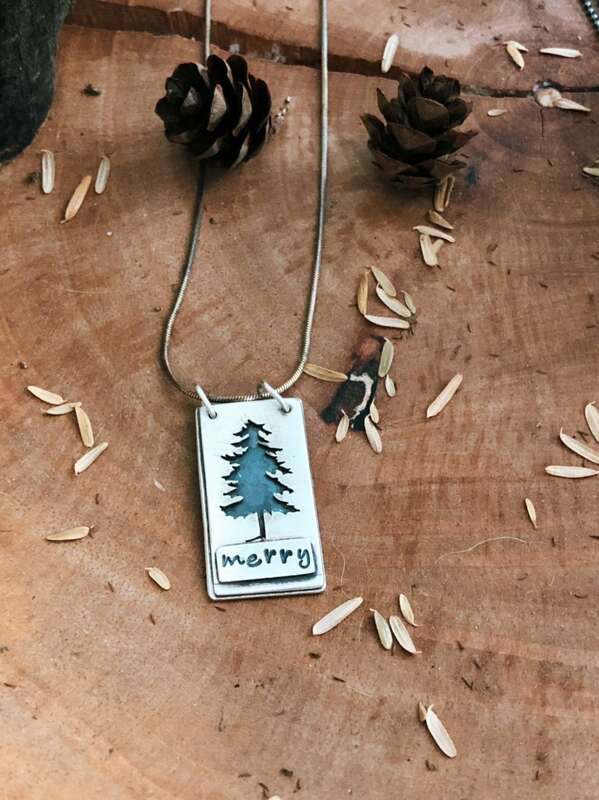 Each pendant is on a sterling silver chain which is also oxidized to compliment the pendant. 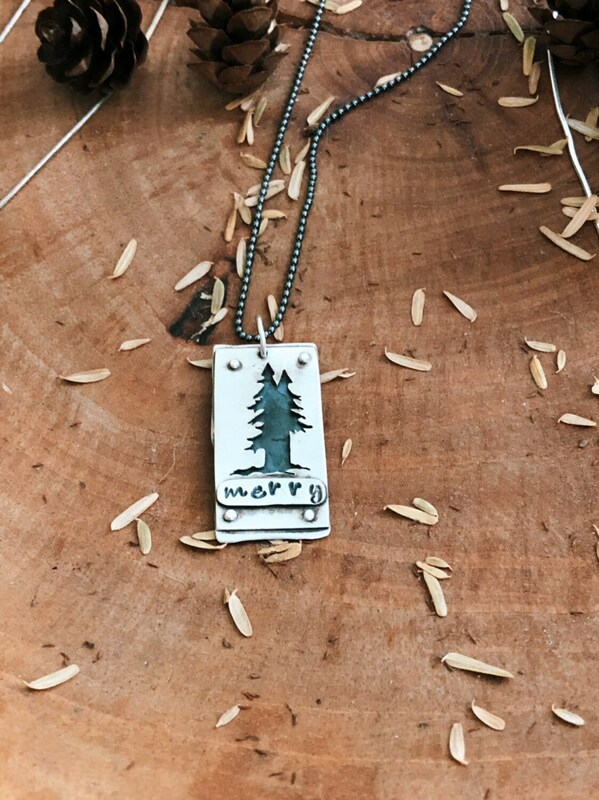 These pendants are appropriately 3x 1.75 inches. Please specify which pendant you would prefer.